As a product, PC Matic stands out against our competition in several ways. However, our products aren’t the only the things that set us apart. Over the past few years, PC Pitstop has been able to make sales in a way that no other security software provider has been able to do: television advertising. We update our commercials frequently; announcing new PC Matic features, alerting customers to new security threats and demonstrating how PC Matic’s whitelist is the only security product that blocks every type of virus and malware, including zero-day threats. We released six commercials in Q3 of 2017. PC Pitstop CEO, Rob Cheng, revisits the history of antivirus with his son, Teddy. This commercial explains the origins of the blacklist architecture, and how PC Matic revolutionized the industry with the first whitelist antivirus. Since the introduction of PC Matic’s whitelist antivirus, millions of people have turned to PC Matic to protect and maintain their computers. This ad was made to thank those customers, both home and business, for believing in us. Our mission is to continue to protect homes, businesses, school systems, government agencies, MSPs and resellers with an affordable, American-made solution. Since the end of 2016, PC Matic has consistently beat the competition in public detection rate tests, including scoring the first 100% detection rate on the Virus Bulletin RAP test. These test results have been proven in the real world throughout 2017. As of the airing of this commercial, PC Matic customers had not experienced a single infection in 2017. 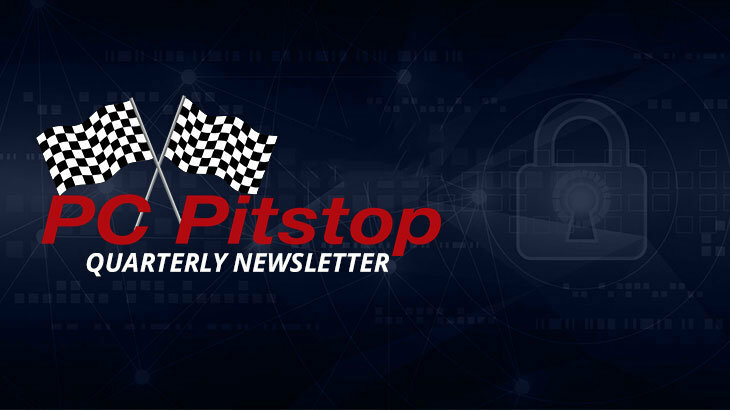 PC Pitstop is has earned a spot on the Inc. 5000 fastest-growing companies list for the second year in a row. This TV ad highlighted our growth, and our need for additional top-notch team members to support that growth. Throughout the airing of this commercial, we received thousands of applications, and hired several new team members. Ransomware is an illegal, international business. This commercial explained how we put cyber criminals out of business, by hitting them right in the wallet. PC Matic has proven, both in public detection rate tests and in the real world, that we have the highest detection rates on the market. Higher detection rates mean less income for ransomware businesses. This is how we defeat ransomware. This quarter, the federal government removed Kaspersky from their list of approved security vendors, and gave federal agencies a 90-day window to remove it from their systems. In this commercial, we offered a proven, American-made solution. Not only does PC Matic consistently outscore the competition in public tests, it’s also the only antivirus that does 100% of it’s malware research and software development in the United States. Q3 2017 Newsletter pc matic. permalink. How can PCMatic claim no infections? PCMatic is still blocking my TD Ameritrade brokerage trading platform from working, meaning I cannot trade stocks on my main computer. Tech support was of no use getting it unblocked. How does a guy make money when PCMatic blocks the #1 brokerage companies program? Also, I have had 5 ransomware attacks that PCMatic did not block, so I just turn off the computer, restart, and all is okay, — except why doesn’t PCMatic stop them? I sent the ransomware names to PCMatic, so they know which ones ride on Yahoo Finance. Hello — Please reach out to our support team regarding TD Ameritrade being blocked. I am currently running PC Matic and able to access the website without any issues. Also, it is unlikely you were hit with ransomware. Ransomware locks your files and device, making it inaccessible until the ransom demands are paid, or until you reinstall everything via backups. Restarting your device would not remove the ransomware. It sounds like it was likely a tech support scam, where they claim your device is infected and ask you to call a fake support line to get your PC “fixed”, when nothing is really wrong. Rebooting would in fact remove these messages. These scams are difficult for any anti-virus to block, because they are not a true virus, but a scam pop-up. Recently, PC Matic has included blocking the Infinite Alert Hoax within its ad blocking technology. So, if you’re running PC Matic’s ad block in Chrome, these messages will no longer show up. We hope to add other browsers soon.